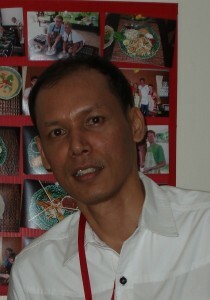 Laoongdao, better known as Dao, is our smiling Thai cooking instructor in Bangkok. 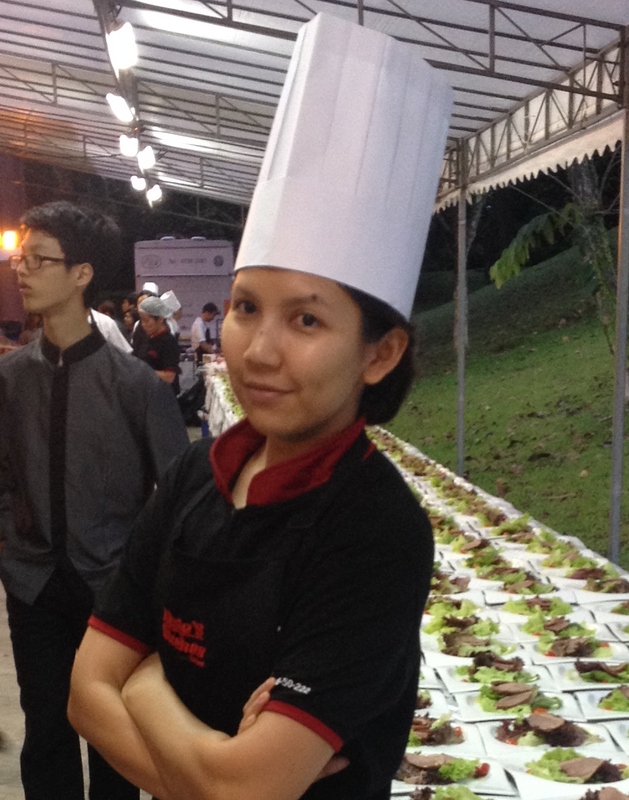 Behind this smile, however, is a Thai lady who can really cook. Quite often her students make the same comment: What they cook in her class is usually the best Thai food they’ve ever eaten! Chef Dao specializes in teaching our private classes and is our resident Master Fruit Carving instructor. We invite you to take a class or two with Chef Dao and enjoy some great Thai dishes. And, if you want to learn something fun and challenging, let her teach you another one of her specialties: Thai fruit & vegetable carving. One thing for sure—whatever you learn from her, you will enjoy her class—GUARANTEED! !